Malcolm Wheeler's practice focuses on large and complex business litigation and product liability litigation, especially nationwide "pattern" litigation, class actions, and appeals. Mal has defended manufacturers at trial in several highly publicized cases, including the Ford Pinto criminal case, the damages trial in the Kearns windshield-wiper patent case, the first "no airbag" case tried to verdict, the first defective airbag case tried to verdict, and cases in the medical device, pharmaceutical, chemical, automotive, and appliance industries. He has served as national trial counsel for Ford, Pfizer, and Nissan, and as national class action counsel for Whirlpool. Mal has briefed and argued cases in the United States Supreme Court and in multiple United States Courts of Appeals and state appellate courts throughout the country. Mal is an elected Fellow in the International Academy of Trial Lawyers and in the American College of Trial Lawyers. 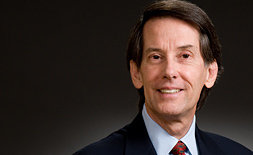 In 2010, Product Liability Law360 named him one of the 10 most admired product liability lawyers in the United States. For several years beginning in 2010, Chambers USA named him one of only three nationwide "star individuals" in product liability. Mal has appeared on the Colorado Super Lawyers® Top 10 list multiple times and was the "top point getter" in 2010 and 2011. In 2011, Mal was featured on the cover and profiled in the annual publication. Mal has been the designated media representative for several Fortune 500 companies in connection with major litigation. In that role, he has appeared on nationally broadcast television programs, including ABC's 20/20, CNN's Burden of Proof, Dateline NBC, and 90 Minutes (a European news show), as well as nationally broadcast radio programs. Malcolm Wheeler is known for his long history of civil defense victories, especially in product liability and class action lawsuits. Mal has served as national trial counsel for Ford, Pfizer, and Nissan, and national class action counsel for Whirlpool. In 2000, he won for Honda before the U.S. Supreme Court in a case that established the standard for federal preemption arguments in airbag litigation. Travelers v. Stresscon, 370 P.3d 140 (Colo. 2016) - Won Colorado Supreme Court reversal of a unanimous court of appeals ruling in a case of national importance to the insurance industry. In its ruling for Travelers, the Court held that the "notice-prejudice rule" does not apply to "no-voluntary-payment" provisions in insurance policies. This was WTO's fifth consecutive, fully-argued victory before the Colorado Supreme Court in two-and-a-half years. Law360 named Stresscon one of the top five insurance rulings of 2016. Assisted a biotech company in an appellate briefing before the Federal Circuit, resulting in reversal of an adverse summary judgment and remand to the state court where our client had filed the complaint. Wirsz v. Nissan (Cal. Los Angeles Cnty. Super. Ct.) - Won a unanimous defense verdict in California Superior Court for Nissan in a lawsuit involving a claim that an allegedly defective seat system resulted in the plaintiff's quadriplegia following a horrific car crash. Hudgins v. Southwest Airlines, 212 P.3d 810 (Ariz. App. 2009) - Obtained 88% reduction in the appeal of a punitive damages award. Rush v. Whirlpool (W.D. Ark. 2008) - Defeated certification of a multistate class action in Arkansas federal court involving claims that certain Whirlpool-made refrigerators were defective. McNellis v. Pfizer (3d Cir. 2008) - Won a major appeal for Pfizer in a groundbreaking preemption case before the Third Circuit. Dennis v. Whirlpool (S.D. Fla. 2007) - Obtained dismissal with prejudice of plaintiffs' class action allegations in a putative nationwide class action alleging that more than one million of Whirlpool's refrigerators were defective. White v. Ford, 500 F.3d 963 (9th Cir. 2007) - Won a reversal and a new trial on the punitive damages phase of a product liability case originally tried by another firm in 1998. Persuaded the second jury to award only one-third of the amount awarded in the initial trial. Dusek v. Pfizer - Obtained summary judgment for Pfizer on preemption grounds in a case alleging that a popular antidepressant caused suicide. Estrada v. Nissan - Defeated class status and a recall attempt against Nissan in a putative class action involving airbags. Miller v. Pfizer - Won exclusion of a star expert for the plaintiffs in antidepressant suicide litigation and won summary judgment for Pfizer in federal court in Kansas in a case alleging that the company's antidepressant led to the suicide of a minor. Motus v. Pfizer - Obtained summary judgment for Pfizer in a case in California alleging wrongful death, failure to warn, and other claims involving the company's popular antidepressant. Tebbetts v. Ford - Won a New Hampshire "no airbag" trial for Ford before getting all no-airbag cases held preempted in Geier in the U.S. Supreme Court. LeJeune v. Ford - Favorable decision on federal preemption grounds in a no-airbag case. Martinez v. Ford - Affirmed summary judgment on federal preemption grounds in a no-airbag claim. Lebouef v. Ford - Favorable decision on federal preemption grounds in a no-airbag case. Wolfe v. Ford - Favorable decision on federal preemption grounds in a no-airbag case. Barnhill v. Ford - Won a favorable decision on federal preemption grounds in a no-airbag case. Hubbard v. Ford - Favorable decision on federal preemption grounds in a no-airbag case. Turnquest v. Ford - Favorable decision on federal preemption grounds in a no-airbag case. Waters v. Ford - Favorable decision on federal preemption grounds in a no-airbag case. Angelopolus v. Ford - Obtained a favorable decision on federal preemption grounds in a no-airbag case. Teitloff v. Valcon Materials - Favorable decision on federal preemption grounds in a no-airbag case. Martin v. Ford - Obtained a favorable decision on federal preemption grounds in a no-airbag case. Winters v. Ford - Favorable decision on federal preemption grounds in a no-airbag case. Wright v. Ford - Favorable decision on federal preemption grounds in a no-airbag case. Marrs v. Ford - Affirmed a lower court decision granting summary judgment to Ford on federal preemption of a no-airbag claim. Oja v. Howmedica - Jury award in hip implant case; reversed by Tenth Circuit Court of Appeals; case settled. In re Ford Explorer Cases (Cal. Sacramento Cnty. Super. Ct. 2007) - Defended Ford Motor Co. in a four-month certified class action trial involving $2 billion in consumer fraud claims. On the day set for closing arguments, the plaintiffs agreed to a no-cash, coupon-based settlement for the California class and classes in three other states with pending parallel actions. Montag v. Honda - Response to plaintiffs' appeal of trial court defense verdict and granting of summary judgment. Defense verdict affirmed; favorable summary judgment decision affirmed. Maheu v. Summa - Defended a defamation action against Howard Hughes by the fired head of his Nevada operations. Nguyen v. Whirlpool - Directed verdict on manufacturing defect; hung jury; case settled. Macko v. Ford - Federal preemption on inadequate warning labels claim. Steenbergen v. Ford Motor Co. - Represented Ford Motor Co. in the first "no-airbag" case tried to a verdict. Harris v. Ford - Loss of summary judgment on federal preemption grounds in no-airbag claim appealed and reversed. Binakonsky v. Ford, 133 F.3d 281 (4th Cir. 1998) - Obtained summary judgment from the district court in a design defect case. When plaintiffs appealed, the Court of Appeals affirmed in part, reversed in part, and remanded. Gray v. Ford - First airbag fatality case tried to verdict. Williams v. Whirlpool - Defended a fire fatality case alleging design defects in appliance. State of Indiana v. Ford - Represented Ford Motor Co. against criminal charges of reckless homicide in the design of the Pinto automobile. "A Look Through Tinted Glass: What Does the Future Hold for Preemption in Motor Vehicle Litigation?" Prod. Safety Liab. Rptr., Vol. 39, No. 20 (May 16, 2011). "The Trial of Class Actions," presented at Product Liability Advisory Council (April 28, 2011). "The Changing Face of Preemption in Product Liability Actions," presented at American Bar Association's Emerging Issues In Motor Vehicle Product Liability Litigation (March 31, 2011). "Preemption in Pharmaceutical Cases," presented at Association of American Law Schools (January 8, 2011). "Defending Against Punitive Damages Before and During Trial," presented at DRI Masters of Product Liability Litigation Conference (April 8, 2010). "Using FDA Pronouncements to Defend Product Liability Claims," presented at DRI Drug and Medical Device Conference (May 14, 2009). "Punitive Damages: How Much, How Far, What Conduct and Where Committed," presented at The Network of Trial Law Firms' one-day Litigation Management SuperCourse (January 31, 2003). "Legal and Tactical Evidentiary Issues in Punitive Damages Cases," presented at 2002 Annual Litigation Institute (October 11, 2002). "Choice of Law: Little-Recognized Punitive Damages Issues," Leader's Prod. Liab. L. & Strategy, at 1 (March 1999). "Product Liability Aspects of the Risks of Technological Change," 25 Can.-U.S. L.J. 137 (1999). "How Now, Daubert: Dilemma About Application," Leader's Prod. Liab. L. & Strategy, at 1 (April 1997). "Honda Motor Co. v. Oberg: A Guide for Punitive Damages Reform," Prod. Liab. Advisory, at 8 (August 1994). "Defendants Confront Onerous Pretrial Tactics," Leader's Prod. Liab. L. & Strategy, at 1 (January 1993). "Strict Liability in Design-Defect Cases: A Doctrinal Structure in Need of a Foundation," Wash. Legal Found. Legal Studies Division (November 16, 1990). "The Need for Narrow Tort Reform: Abolishing Strict Liability," in Product Liability Reform: Debating the Issues, K. Chilton ed. (1990). "A Proposal for Further Common Law Development of the Use of Punitive Damages in Modern Product Liability Litigation," 40 Ala. L. Rev. 919 (1989). "Comment on Landes's and Posner's Positive Economic Analysis of Products Liability," 14 J. Legal Stud. 575 (1985). "Pre Dismissal Notice and Statutes of Limitations in Federal Class Actions After American Pipe & Construction v. Utah," 48 S. Cal. L. Rev. 771 (1985). "The Use of Criminal Sanctions to Regulate Product Safety," 13 J. Legal Stud. 593 (1984). "A Comment on Recent Developments in Judicial Imputation of Post-Manufacture Knowledge in Strict Liability Cases," 6 J. Prod. Liab. 127 (1983). "Manufacturers' Criminal Liability," Chapter 1B in L. Frumer & M. Friedman, Products Liability (1983). "The Constitutional Case for Reforming Punitive Damages Procedures," 69 Va. L. Rev. 269 (1983). "Product Liability: Civil or Criminal," 17 Forum 250 (1981). "In Defense of Economic Equal Protection," 22 U. Kan. L. Rev. 1 (1974). "The Statute of Limitations for Antitrust Damage Actions: Four Years or Forty?" with Robert J. Jones, 41 U. Chi. L. Rev. 72 (1973). "Parole Eligibility for Prisoners Serving Consecutive Sentences in Kansas: A Comment," 21 U. Kan. L. Rev. 167 (1973). "Antitrust Treble-Damage Actions: Do They Work?" 61 Cal. L. Rev. 1319 (1973). "Toward a Theory of Limited Punishment: An Examination of the Eighth Amendment," 24 Stan. L. Rev. 838 (1972). "Some Observations on Tie-Ins, the Single-Product Defense, Exclusive Dealing and Regulated Industries," 60 Cal. L. Rev. 1557 (1972). "Toward a Theory of Limited Punishment II: The Eighth Amendment After Furman v. Georgia," 25 Stan. L. Rev. 62 (1972). "A Reexamination of Antitrust Law and Exclusive Territorial Grants by Patentees," 119 U. Pa. L. Rev. 642 (1971). "Judicial Enforcement of Contract-Arbitration Agreements," Note, 21 Stan. L. Rev. 673 (1969). "Toward the Peaceful Modification of Treaties: The Panama Canal Proposals," 21 Stan. L. Rev. 938 (1969). Denver Business Journal, "No Side Deals on Insurance Claims, Court Rules," May 6, 2016. Law360, "Colo. Justices Urged to Limit Notice-Prejudice Rule," June 4, 2015. 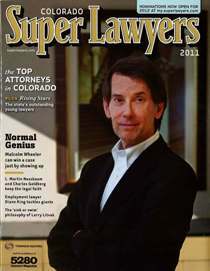 Law Week Colorado, "Malcolm Wheeler Inducted Into Trial Lawyers Academy," July 31, 2012. Denver Business Journal, "Early Communication Negates Surprises for Law Firm," July 22, 2011. Super Lawyers, "Normal Genius: Malcolm Wheeler Can Win a Case Just by Showing Up," April, 2011. 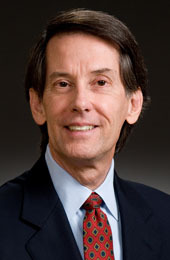 Law360, "Most Admired Attys: Wheeler Trigg's Malcolm Wheeler," September 13, 2010. Denver Business Journal, "7 to be Honored at Sam Cary Bar Event," October 8, 2006. Law360 selects Malcolm Wheeler among 10 most admired product liability lawyers in the U.S.